Moving house can be an incredibly stressful experience. We asked the experts how to make your move, if not entirely stress-free, then as smooth as it can possibly be. Deep breaths, you’ll get through this. Moving is often stressful for emotional reasons as well as practical ones, professional declutterer Sarah Cottman says. Once you’re aware of this, you can take practical steps to address it. Being organised also helps. Decluttering requires determination, and it’s easy to waste time as you absentmindedly consider the value of old birthday cards, or that fidget spinner you bought on impulse. When it’s time to move, you come across many items you have kept just in case they are needed. Old paint sitting in the shed or garage is top of mind. Items such as paint, gas bottles, motor oils and batteries require special disposal. “If these types of items are left on the kerbside, council won’t collect them,” says Kathy Giunta, director of waste and resource recovery at the NSW Environment Protection Authority. The best option is to drop them off at a community recycling centre. “With special treatment, many of the materials collected at the community recycling centre will be recycled. This is the best outcome for our environment,” Giunta says. Gas bottles need to be disposed or properly. While you’re in the garage or shed, if you also have garden, pool or hobby chemicals like photography chemicals, you can drop these items off at a free Chemical CleanOut event. Now that you’ve decluttered and safely disposed of hazardous materials, the next step is to label your boxes and even the rooms at the other end, particularly if it’s not immediately obvious what they are. That way if you’ve hired removalists, or have friends and family helping, you won’t have to waste mental energy telling them where to put things. Much better to use that brainpower locating the nearest coffee shop or bar instead. 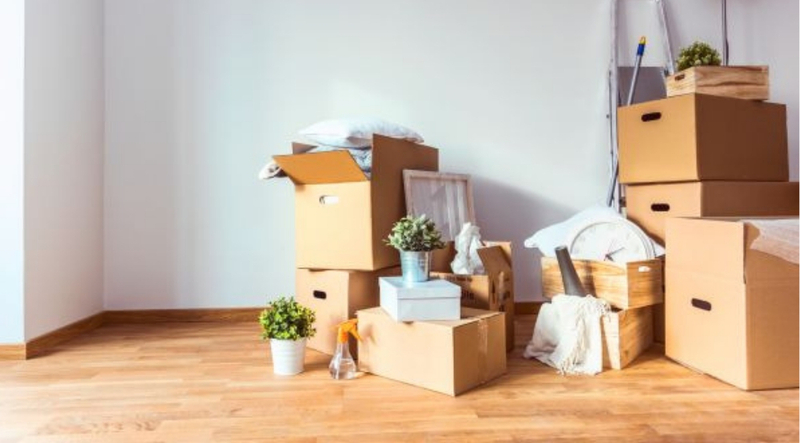 After you’ve packed your life into boxes and got through the whole process, you don’t want to then spend hours trying to find the things you’ll need for the first night in your new home. Cottman suggests creating a care package for yourself and labelling it as such.